Share the post "Mass. 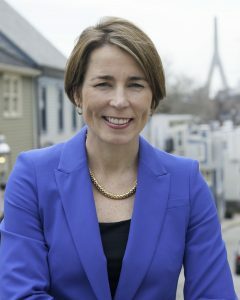 Attorney General Sues FedLoan Servicing – FAQs"
Yesterday, Massachusetts Attorney General Maura Healey filed a lawsuit against loan student servicing giant FedLoan Servicing (formally known as the Pennsylvania Higher Education Assistance Authority, or “PHEAA” for short). The lawsuit alleges widespread loan servicing problems that have harmed thousands of borrowers. The allegations against FedLoan Servicing are entirely unsurprising to me, as I’ve written extensively about ongoing problems with this student loan servicing company. But this is a major development and represents an important step in holding student loan servicers accountable for their actions. Here are some common questions I’m getting about the lawsuit – and my answers. What Does The Lawsuit Allege? The lawsuit focuses on irregularities related to two student loan programs: Public Service Loan Forgiveness (PSLF), and TEACH Grants. FedLoan Servicing was selected by the U.S. Dept. of Education as the sole servicer for handling borrowers in these two programs, and so the company has special obligations and responsibilities. For borrowers on track for PSLF, the lawsuit alleges that FedLoan Servicing engaged in a variety of activities (such as paperwork delays and erroneous determinations) that forced people into forbearance instead of qualifying PSLF payments, or it failed to properly count qualifying PSLF payments. These actions caused thousands of PSLF-eligible borrowers to be in repayment far longer than they otherwise would need to be under the program. For borrowers with TEACH grants, the lawsuit alleges that FedLoan Servicing allowed simple bureaucratic errors or omissions to snowball into massive headaches for borrowers – including the conversion of grants into loans that must be repaid. What Type of Relief is the Lawsuit Seeking? The Attorney General’s office is asking the Court for civil penalties and restitution for impacted borrowers, as well as a permanent injunction to stop FedLoan Servicing from engaging in the conduct alleged in the lawsuit. Who Might Benefit From a Favorable Outcome of this Lawsuit? It’s far too early to know what the outcome of this lawsuit would be, or who might specifically benefit. 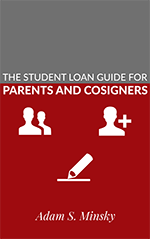 However, the Massachusetts Attorney General’s Office only has jurisdiction over Massachusetts residents, so only student loan borrowers who reside in Massachusetts would be entitled to any sort of compensation, if it is made available by a settlement or court ruling. 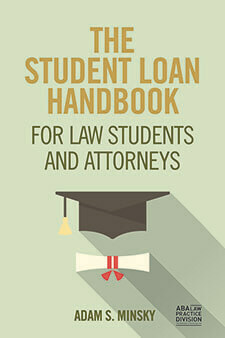 However, if the lawsuit forces FedLoan Servicing to modify its practices and procedures, student loan borrowers across the country could benefit. Furthermore, this lawsuit might embolden other state Attorneys General to file similar lawsuits against FedLoan Servicing in their own states. For example, reports indicate that New York Attorney General Eric Schniederman is investigating FedLoan Servicing as well, possibly in preparation for his own litigation against the company. Unfortunately, you cannot join this lawsuit as a party or as a Plaintiff. Unlike a “class action” lawsuit (which is brought by a group of injured parties), lawsuits by a state Attorney General are brought on behalf of the entire population of the state. Individuals cannot elect to participate directly. However, if the Attorney General’s Office reaches a settlement with FedLoan Servicing or obtains a favorable court ruling, they will publish information about how covered borrowers can request relief. 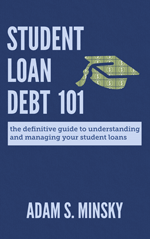 Keep all of your student loan records in a safe place, either physically or electronically. Dispute and escalate your matter within FedLoan Servicing. File a complaint with the Consumer Financial Protection Bureau. File a complaint with the U.S. Dept. of Education. File a complaint with your state Attorney General’s Office.